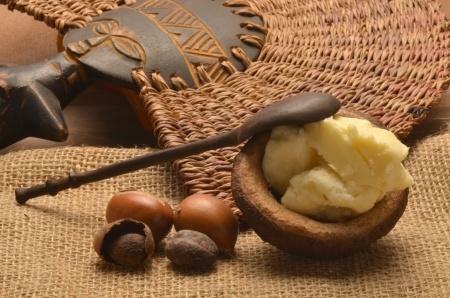 The use of shea butter in skincare can be traced back through millennia. The luminous beauty of Nerfertiti, Queen of ancient Egypt, was attributed to the moisturising effects of shea butter in a sunbaked climate. Nor was she the only member of Egyptian royalty to rely on its beauty enhancing properties. Cleopatra was also a fan. Extracted from the nuts of the shea tree found dotted across the savannahs of central and western Africa, shea butter was historically used to protect the skin of the African people from the harsh, drying effects of the desert winds and unforgiving sun. Today, it features in a wide variety of skincare and hair products. It is also a vital ingredient in My Trusty’s newly launched body butter, specially formulated to rehydrate and nourish dry skin. Renowned for its moisturising and anti-ageing properties, shea butter is a skin superfood. As well as protecting your skin from the damaging effects of pollution and dehydration, it stimulates the production of collagen (which we all need as we get older). With five essential fatty acids, shea butter helps to minimise the impact of free radicals on your skin too, reducing the appearance of fine lines and wrinkles that often seem to appear from nowhere overnight. The result? Radiant looking skin! Found in shea butter, Vitamin A is famous for its healing properties and used to treat skin conditions such as dermatitis and eczema, as well as minor blemishes. It also helps to reduce the appearance of unwanted stretch marks – but there’s more. Shea butter also contains Vitamin E, renowned for its anti-inflammatory qualities. Other skin conditions which benefit from a slathering of this natural moisturiser include, psoriasis, rashes, acne, minor cuts and burns and allergies caused by insect bites. Neglected, dry or cracked skin on your heels and feet will also enjoy a much needed boost from a daily application of shea butter. Packed with anti-oxidants, shea butter revitalises your skin whatever the weather. Regardless of the time of year, it both protects and nourishes even the most parched, vulnerable areas, whether as a lip balm in the depths of winter or a soothing aftersun at the end of a long summer day. As an overnight body butter to revive extra dry skin. As a post-bathing lotion, especially when applied immediately after your shower or bath to lock in vital moisture. As a hair mask, bringing back vitality and shine to lack-lustre locks. When applied liberally, it helps to reduce those post-workout muscle aches by promoting the elimination of toxins that lead to muscle soreness. Is there no end to its talent? As an essential skin care ingredient, shea butter strengthens, protects, moisturises, soothes and heals your skin – and it’s 100% natural! My Trusty’s body butter combines shea and cocoa butter to produce a rich, hydrating cream that melts at room temperature and glides across your skin. With 6.5% sunflower oil and fragranced with bergamot, orange and neroli, it nourishes, rejuvenates, uplifts and energises.